Mukunda Das – USA: The following document is reported to be a draft copy of the never to be finished Doctoral Thesis that HH Tamal Krishna Goswami (Thomas G Herzig of Jewish extraction, demised) would have handed in person to his handler, Dr. Julius Lipner (Indian born, of Czech Jewish Roots) of Cambridge University, England. The thesis that he was to present was done in collaboration by HH Tamal Krishna Goswami and HG Krishna Ksetra (Dr. Kenneth Valpey – also of Jewish extraction). Of course, the thesis was never finished due to the demise of the main author, HH Tamal Krishna Goswami, but some copies have been circulated over the years. As far as I am aware, this draft has never been published on any forum or website and has to date been left to the ‘annals of obscurity’. It makes an interesting read. As far as I gathered (and you can judge for yourself), this piece of literary dribble is nothing short of the most offensive material ever to be produced by an alleged ISKCON devotee. Every line in this material I found to be most offensive and depreciative to our Srila Prabhupada, even though they hide behind pseudo-academic word jugglery. To HH Tamal Krishna Goswami and HG Krishna Ksetra Prabhu, Srila Prabhupada was the cause of all the problems in ISKCON (sounds like Jagadisa blaming Srila Prabhupada for the child abuse in ISKCON). They claim that Srila Prabhupada was a “charismatic” personality that used a top-down (vertical) authoritarian approach that did not allow any room for questioning or intelligent independent thought. 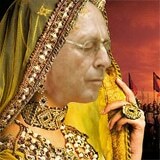 They blame this attitude of his for the cause of all the problems in ISKCON. They cite Srila Prabhupada for forcing us to become blind followers and to accept his instruction without question. Maybe HG Krishna Ksetra Prabhu forgets just how heavy and authoritarian HH Tamal Krishna Goswami was and how he never listened to anyone except himself. How he alienated his godbrothers and the women of ISKCON? We certainly have not forgotten. It is a must for every devotee to read this document, written by these so-called disciples of Srila Prabhupada, and work out for themselves just how far these two are/were willing to go to try and ruin this movement and deprecate its Founder-Acarya, Srila Prabhupada. It is especially incumbent on the disciples of HH Tamal Krishna Goswami to not be the blind followers that he speaks of, and to read this document and decide for themselves with an open and rational academically critical mind, exactly what these two are saying. It is interesting to note the authors use the term ‘demise’ which means – the time when something ends… for it is certainly the end of Srila Prabhupada’s time if we believe these guys. Labeling Srila Prabhupada a ‘charismatic founder’ shows just what they thought of him. Following is the draft; read it and decide for yourself. Since the demise of its charismatic founder in 1977, the International Society for Krishna Consciousness (ISKCON) has faced a growing institutional disaffection among its initiated membership. In outreach, if results are judged quantitatively, a slackening of missionary fervor has failed to attract new recruits to replenish the diminishing ranks of its fulltime members. An official survey conducted in 1998 has found ISKCON’s underlying problems to be largely sociological. 1 Rarely is the theology deemed suspect. It is regarded as sacrosanct, as if to tamper with it is to court disaster. ISKCON’s founder, A.C. Bhaktivedanta Swami Prabhupada (1896-1977), a disciplic successor to the sixteenth-century ecstatic Shri Chaitanya (1486-1533), 2 emphasized clear literary sources and subcontinental enculturation to validate social change in the contemporary global order- a future he hoped to forge by legitimating a reenvisioned past. But any amalgam of past and present is never entirely homogenous. For a self-consciously traditional movement, fixed on the one hand by the mammoth literary canon of its founder, confronted on the other by the ever-changing conditions of time, place, and circumstance, consequent tensions are a natural outcome. ISKCON’s initial efforts within the counterculture and its reverse missionary endeavors in India and the Hindu diaspora are well documented, as is the postcharismatic turmoil that has beset its ranks. To date, however, this large body of social scientific research has at best exposed the strain of ISKCON’s premodern appeal against modern realities and postmodern assumptions, stopping short of in-depth theological analysis and problem solving. This paper begins to fill the lacuna by identifying likely locations- flexible postulates and porous boundaries- hospitable to theological construction. The authors, both active leaders within ISKCON and at the same time academics, feel a dual obligation, on the one hand to ISKCON, on the other to academe. Ideally, one finds in one’s different affiliations a mutuality of interests and methods; practically, this is not20always the case. As a work in progress meant to encourage dialogue within and between these two fields of discourse, the position advanced in this essay is at best exploratory, not advocacy. If ISKCON feels our probing too insistent, or if the academy feels we have held back and not dug deeply enough, we request each to recognize the constraints under which we operate and to appreciate that ours is indeed a delicate tightrope act. The great advantage of this schema is the confidence it has enjoyed from Shri Chaitanya’s earliest theologians to his most recent exponents. The congeniality of a familiar system is obvious, particularly when for most traditions explicit doctrinal originality is regarded not as a virtue but as a deviation. Let us start by discussing pramana. In ISKCON, literalism often is equated with intellectual chastity. Thus: “The members of ISKCON, who live perpetually at the feet of Shrila Prabhupada, may speculate how Shrila Prabhupada’s statements are true, but they may not challenge his statements, or claim that they are false. This is precisely what it means to accept Shrila Prabhupada as the founder-acharya” (Hridayananda 1996:viii). The author of this statement is paraphrasing an instruction he himself received from Prabhupada. Indeed, this view is the guiding ethos for VAST (Vaishnava Academic Studies), a moderated ISKCON Internet forum. If ISKCON wishes to avoid the label of naïve realism, a number of strategies suggest themselves. One is to also acknowledge the strength of pramanas other than shabda in order to make conditional allowances for historically contingent, “relative” knowledge. Prabhupada himself shows that this may be done. While certainly favoring revelation over reason and perception, for audiences unfamiliar with the text tradition he makes ample use of logic and everyday examples. Further, following the lead of nineteenth-century theologian Bhaktivinoda Thakur (1838- 1914), ISKCON can reexamine its traditional texts and reappropriate them in ways consistent with modernity, discerning the symbolic through critical scholarship. As with Bhaktivinoda’s experiments, this would provide a new dimension to sambandha, the area to which we next move. Sambandha’s connotative sense embraces numerous ontological categories. As well as the godhead’s nature, the living being, and the world, sambandha signifies the action of the godhead and its infinite energies as they relate with each other, a subject treated in a manner unique to this school under the axiomatic principle of achintya-bhedabheda (inconceivable simultaneous difference and identity). To Bhaktivinoda, matters of phenomenal knowledge (i.e., Puranic history and cosmology) are particularly amenable to rational analysis, even if transcendence (i.e., Krishna, bhakti, etc.) is not. In his innovative Krishna-samhita, thousands of yuga-cycles of Prajapatis and Manus are compressed to conform to an Indian history of some 6,000 years complete with migrating Aryans, and Mogul and British rule. The same time frame is linked to a progressive intellectual history encompassing all major texts, assigning the Bhagavata, for example, to an anonymous ninth-century Dravidian origin. Krishna and his abode’s supremacy are rationally established, his incarnations tied to human evolution, his lila framed within a discussion of the limitations of human language, and his destruction of demons related metaphorically to the removal of corresponding obstacles to devotion. Whether a clearly nineteenth-century Bengali bhadralok hermeneutic responding to historically and culturally specific assumptions is any longer appropriate is not the issue; that a person who is widely credited with inaugurating modern Chaitanya Vaishnavism makes every effort to accommodate modern intellectualism is. More important than the particular hermeneutic is its motive and method. Similar progressive theologizing may be necessary if ISKCON is to embody Shri Chaitanya’s mood of magnanimity (audarya). Unlike many of Bhaktivinoda’s contemporaries who willingly sacrificed much about Krishna that offended them, 10 revisionism along the lines Bhaktivinoda practiced need not be revolutionary. Moderate theologizing that harnesses “tradition as a modality of change” (Waldman 1986) can express fidelity and continuity with the past while forging connections to the present and future. The status and role of women within ISKCON is an area to which this approach may be applied to great advantage. Normally a topic for the praxis-rich province of abhidheya, its problems may be traced to ontological confusions; hence, its placement under sambandha. Kim Knott (1995) has problematized ISKCON’s difficulties reconciling traditional models with modern realities, juxtaposing the theoretical gender equality of a soul-based theology in which the feminine divine Radha is the exemplar par excellence with stri dharma (the duty of a woman) understood as three distinct levels of meaning within Prabhupada’s teachings- bhagavat dharma (divine duty), “Vedic” varnashram dharma (ancient notion of duty based on orders and stages of life), and “Hindu” varnashram dharma (its modern interpretation). The multivalent weighting of the founder’s statements has, and will continue to have, a decisive bearing on ISKCON’s history. If ISKCON is to be rid of residual sexism, a theology is needed that interprets his comments in the spirit of bhagavat dharma, taking into account the hard realities of present life, even if in doing so the principles of varnashram dharma are set aside. The unfair sexual bias implied by the Maya narrative needs reworking to reflect the Chaitanya Vaishnava perspective of the feminine gender generic to all souls, including those who are male-embodied. This would certainly be in keeping with the spirit of bhakti in pan-Indian religious history, as Fred Smith points out: “In Sanskrit grammar, bhakti is feminine, just as yoga, dharma, and yajna (sacrifice) are masculine. Not just grammatically, however, but substantially, did the rise of bhakti . . . redress the imbalance of the masculine and feminine forces in (official) Indian religion” (Smith 1998:30). Looking outside the Chaitanya Vaishnava tradition, apparently competing, extratraditional views of the godhead may be assessed in proportion to their ability to marshal numerous relational models of the godhead, the living entities, and the world. Images of transcendence from beyond the tradition that resonate with Gaudiya theology could amplify the understanding of Krishna’s multiple roles in Vrindavan as friend, son, and lover, and through his expansions and incarnations, in numerous other relationships, not the least as overseer paramatma of the bound jiva. 17 Both outside and inside, the flexibility of ontological categories needs to be tested further if a theology of accommodation is to replace one of exclusion. Within the tripartite schema of sambandha-abhidheya-prayojana, asymmetrical disjunctions between inherited tradition and actual contingency are most noticeable within the division of abhidheya- process or execution- to which we now turn. Here, bhakti, devotional practice, is the process leading to the ultimate goal of Krishna prema (love of Krishna). Over centuries, bhakti’s discursive formulations have massaged whatever traditional rigidities resisted the flux of contingency. Flowing underneath Rupa Gosvamin’s several categories and subcategories of Krishna bhakti are two orientations, one “vertical,” the other “horizontal” or “lateral.” “Vertical bhakti” (O’Connell, unpublished) refers to all aspects of practice and attitude emphasizing hierarchy, the paradigmatic distinction being that of the godhead Krishna and the bhakta (i.e., the Vaishnava practitioner as subordinated servant of Krishna). “Lateral bhakti” refers to not only the dimension of mutuality that characterizes devotional feelings between one bhakta and another but also that between the godhead and the bhakta, wherein sweetness and proximity supersede majesty and distance. To date, ISKCON’s missionary priorities, arguably, have made greater purchase on the vertical, hierarchical vector. 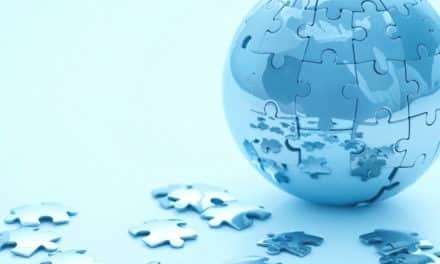 An important constructive strategy would be the recovery of a neglected principle of balance and interdependence between these two modalities. Saintly persons, scripture, and preceptors comprise the body of authority we are referring to here as tradition. Emphasizing the vertical principle of authority, ISKCON members often inadvertently distance themselves from Narottama Das’s verse, failing to recognize that the living practitioner, as a recipient of tradition, is the implied “final arbiter” among these three representatives of traditional authority. Indeed, the practitioner is not simply a passive recipient of tradition; rather, through active engagement, she or he participates in and inevitably reinvents tradition. When examining these three sources of authority in terms of lateral reciprocity, the role of the practitioner is of crucial importance on the vertical/lateral grid. If, as Chaitanya Vaishnavism claims, the relationship between guru and disciple in some ways replicates that of the bhakta and Krishna, one would expect to see in it a parallel dynamic of reciprocity based on deemphasizing vertical polarity. As suggested earlier, a notable Chaitanyaite strategy is to undercut divine majesty to make way for unrestrained intimacy between the lord and his associates. Similarly, the guru, to further a disciple’s understanding of and participation in Krishna’s intimate pastimes, may subdue his own authority in favor of cooperative reciprocity, thus encouraging the disciple to think and act as a partner in the mutual pursuit of spiritual perfection. An important consequence of this element of partnership in the traditional master-servant model would be a deeper sense of spiritual community. Hierarchy emphasizes exclusionary relationships: identification with one’s guru to the exclusion of collegial relations (with all spiritual aspirants, Vaishnava or otherwise), results in sectarianism. Within the guru-disciple relationship, tempering hierarchy with communality would develop a much-needed mutuality among fellow practitioners in ever-widening circles of participation. Participation is central to the Chaitanya Vaishnava account of bhakti. Karen Prentiss, in her recent book The Embodiment of Bhakti, argues that bhakti is most fully understood to be “a theology of participation in God and the ability to reach God” (27). Participation suggests reciprocity, the idea of exchange or sharing contained in bhakti’s verbal root- bhaj. What is further implied is a “cybernetic” principle of appropriateness of response- a sensitivity to immediate circumstance- in other words, the pragmatic dimension of bhakti. Openness and flexibility in interpretation permits the revelatory basis of the tradition to remain susceptible to contemporary experience, to coalesce as a crystallized conviction within each practitioner’s heart. Looking at Narottama Das’s second source of traditional authority- the sadhu- through a Bhagavata Purana definition, we find virtues that deny any specific cultural identity. One who exhibits tolerance, mercy, friendliness to all, and peacefulness and is without enemies is a sadhu (Bhag . 3.25.21). This suggests that people beyond those accepted customarily as sadhus in India deserve to be considered as such. This nonsectarian reckoning obliges Chaitanya Vaishnavas to acknowledge and welcome a wide range of people as genuine spiritual participants from whom wisdom may be gleaned. 25 But what of their spiritual practices? Must these fall within Rupa Goswamin’s sixty-four categories to be accepted as bhakti? Perhaps not. Chaitanyaite practices centered on chanting names of God, hearing and recitation of devotional texts, and worship of divine images need to be reexamined in the context of a broader spectrum of practitioners. To the objections that our proposed reassessment of guru and sadhu will wither before the stipulations of Narottama Das’s third source of authority, namely, shastra, our basic claim is that interpreting scripture is a perpetual process of reappraisal by the reader or hearer. Practitioners must admit this openly for tradition to serve a vital, liberating function in their lives. That for the disciple the guru is the central interpreter and that sadhus are secondary interpreters cannot obscure the fact that the “end user,” the practitioner, is the ?nal interpreter. 26 As “Protestant” as this may sound, it simply recognizes that although scripture maintains boundary structures to delimit those qualified to interpret, the very nature of print culture and mass distribution democratizes the system. The hermeneutical circle or interpretative horizon of scripture for modern readers has exploded out into the entire range of presently available texts drawn from an ever-increasing spectrum of religious and secular traditions. 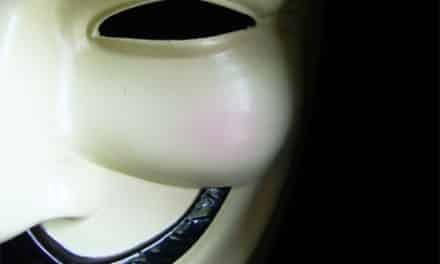 Canonical works no longer enjoy the seeming autonomy they once had, nor are they impervious to scrutiny from outside readers. The top-down, “vertical” process of receiving spiritual truth from infallible scripture is now, more than ever before, faced with the pervasive presence of a multiplicity of voices that challenge the privileged position of any one of them. Shri Chaitanya is remembered best perhaps as=2 0one constantly given to ecstatic states, absorbed in Krishna prema. This, after all, is the prayojana, the motive or goal to which Chaitanya Vaishnavas aspire, and the final division of our study. Much of the Chaitanyaite prescriptive as well as narrative literature conduces to bring about prema, the ripened fruit of bhakti. Liberation is conceived not as the nondual union of Advaita Vedanta but in terms of active seva (cherished service) in relation to the godhead, ideally, an intimate reciprocity between the sevya and the sevaka- Krishna and his devotee. In framing the problem, polarities suggest themselves. Is Krishna Consciousness a state of internal ecstasy or manifest missionary enthusiasm? If the latter, did Prabhupada alter the traditional understanding of prayojana, or did he act in fulfillment of Shri Chaitanya’s mission by emphasizing proselytizing more than the practice of raga? Stated in another way, in a tradition that views bhakti as both its means and its end, to what extent are the words “back to godhead” (the title of ISKCON’s monthly magazine) world affirming or world denying? Evolving theological constructs that replace this either/or dichotomy with a both/and synthesis would demonstrate that these seemingly competing moods are in fact outward and inward expressions of the same Krishna Consciousness, reflecting the esoteric and exoteric nature of Shri Chaitanya’s own appearance. One might begin by justifying Prabhupada’s sacralization of a broad range of missionary endeavors as sankirtana- the celebratory glorification of the lord. Beyond the public chanting of the Hare Krishna mantra popularized by Shri Chaitanya, Prabhupada exploited diverse resources to publicize Krishna’s glories, at the same time promising that all such efforts are a powerful, transformative force, purifying the consciousness and enabling one gradually to come face to face with God. While such facile theologizing may be textually and pragmatically legitimized, it easily can spawn (and has spawned) disquieting modalities: e.g., “mission as warfare,” and the no less savory, “mission as business.” Devotees transform into soldiers, temples into arsenals, stockpiling caches of time bombs (cases of books), zealously deployed at airports amid unsuspecting souls- the result: “Hare Krishna Explosion!” 28 Similar mercantile metaphors can easily be derived. 29 Its leadership scandalized, its population decimated, and a whole generation of Krishna kids feeling forlorn as parents trooped off to fight battle after battle, ISKCON needs much fixing. Brahmins are especially dear to Krishna. Will he not be pleased if ISKCON members exchange their past aggressive militancy and mercantile acquisitiveness for brahmanic compassion? For this to happen, proselytization will need to be balanced with more contemplative practices. Rupa Gosvamin emphasizes five items that are most potent: residence in Mathura-Vrindavan, divine image worship, recitation and hearing of the Bhagavata, chanting of the holy names, and service to exalted Vaishnavas. With the turn inward, attraction (raga) more than rules (vidhi) gradually will govern personal development. These changes are taking place already. Seminars offered to devotees during the past decade have largely centered upon missionizing ethics, personal lifestyle, and individual realization, indicating an unquestionable shift from quantitative to qualitative evaluation. 31 Conferences on women, on youth, and on family are signs of social maturation, as the refreshingly honest and open ISKCON Communications Journal, now in its tenth year of publication, forecasts an increasingly healthy intellectual muscularity. And another sign of change: the transition from monastic ashram life to private households that has characterized ISKCON demographics since the founder’s demise has not necessarily been a move away from contemplative life. Instead, sacred space is increasingly defined in terms of the individual/familial rather than the communal/collective. Unable to worship daily at the temple due to work, and consequently with less institutional pressures, individuals are free to pursue their own perfection, which they now do most often in the context of family life. 32 A profusion of newly published titles- many of them translations into English from the standard Chaitanya Vaishnava corpus- now support the cultivation of raganuga-sadhana-bhakti. Devotional biographies of recently deceased ISKCON Vaishnavas hint at their attainment of Krishna prema. 33 All these developments indicate the dichotomous questions noted earlier are being resolved naturally- even while a theology that endorses the solutions is yet to be articulated officially. This essay, an attempt to suggest the directions such theologizing might take, lays the groundwork by organizing inquiry along the divisions of sambandha, abhidheya, and prayojana. Their usefulness here leads us to recommend them as investigative categories for other forms of Hinduism and beyond. The authors have explored as a possibility an open-ended, gender-equal, less culturally specific, and less hierarchical theological model that attempts to engage diverse theological communities and to serve as a comparative frame for other Hinduisms while retaining a Vaishnava bhakti outlook. In doing so, we have taken for granted a plurality of religious perspectives as a healthy, commonplace fact of life. ISKCON members clearly are obliged to recognize and interact with a field of ideas and worldviews much broader than premodern Chaitanya Vaishnavas ever encountered. If they continue to equate literalism with intellectual chastity, if they hesitate to contextualize and properly interpret the words of their founder, there will be little room for acknowledging and welcoming this multiplicity of voices in the pursuit of a wider spiritual community. We believe that the principle of balancing what we referred to as “lateral” and “vertical” coordinates can and must be extended beyond present devotional relationships if ISKCON members are to recognize their responsibility to themselves and to the tradition they hope to represent. 2. For readers unfamiliar with the tradition: “Shri Chaitanya” would be pronounced “Shree Chaitanya.” Apologies to Sanskritists and knowers of Bengali: diacritics have been dropped from this article to accommodate a wider readership. 3. For the rationale, see the essays, particularly those of Jackson, Cabezon, Gross, and Coreless, in Jackson and Makransky 2000. 4. For Prabhupada’s use of the term, see his morning walk conversation with disciples, 26 June 1975, Los Angeles. Bhaktivedanta Vedabase #1- Bhaktivedanta (CDROM, Version 4.11) (Sandy Ridge, NC: Bhaktivedanta Archives, 1998). 6. veda-shastra kahe-“sambandha,” “abhidheya,” “prayojana” “krishna”-prapya sambandha, “bhakti”-praptyera sadhana. 7. For Jiva Gosvamin, see Elkman 1986, 73. For Prabhupada, see his commentary to Chaitanya Charitamrita 2.6:135. 8. See Matilal 1986, 1. 9. For the most authoritative work on Bhaktivinoda, see Shukavak 1999. 10. Few subjects seem to vex outside representations as Krishna does. Christian missionaries, Orientalists, Hindu reformers, the Krishna-Christ debaters, and figures such as Bankim Chandra Chatterjee- the varying agendas of nineteenth and twentieth-century colonial discourse- all share a communal discomfort; see Haberman 1994. 11. 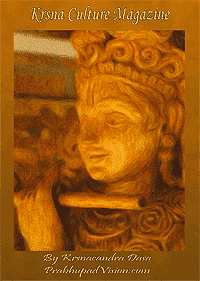 For an overview of the history of women in ISKCON and their present status, see Visakha et al. 2000. 13. Brahmavadins recognize bhagavan but prefer brahman, while mayavadins ultimately recognize only brahman. Examples of the former, before their meeting with bhagavan Narayana, are the four sages Sanat-kumara, Sanatana, Sanandana, and Sanaka; see the Bhagavata Purana canto 3, chapter 15. The followers of Shankara typify the latter. 14. Prabhupada composed an invocational prayer to himself for ISKCON’s liturgy: “You are kindly preaching the message of Lord Chaitanya and delivering the Western countries, which are filled with impersonalism and voidism [nirvisheshashunyavada]”; see Bhaktivedanta Book Trust 1974, 15. 15. ye yatha mam prapadyante tams tathaiva bhajamy aham. 16. For instances where Prabhupada emphasizes commonalities shared by the jnanin, yogin, and bhakta, see for example his lecture on SB 1.2:10 in Bombay, 28 December 1972, or his Bombay press interview on 31 December 1976. See Vishakha et al. 2000. 17. For example, through a Christian, process hermeneutic, Sally McFague tests the notions of “God as mother, lover, and friend of the world as God’s body”; see McFague 1988. 18. Paul Griffiths’s discussion on “comprehensiveness,” “insurpassability,” and “centrality” as phenomenal characteristics of all religious accounts offers a useful framework for understanding the Vaishnava concern to establish bhakti’s preeminence within their system of practice; see Griffiths 1999, 3- 13. 19. For Rupa Gosvamin’s classic treatise on bhakti, see Bhakti Hridaya Bon (1965) and Prabhupada’s summary study (1982). 20. The verse appears in a song from the collection entitled Prema Bhakti-chandrika; see translation of Bhumipati Das. 21. “Last” in order of mention, though not in order of importance, based on the Mimamsa rule that weights a later statement. 22. See Chaitanya-Charitamrita 1 chap. 1. For a discussion of the oneness and difference of the supreme and 0Athe guru as it relates specifically to ISKCON, see Hridayananda 2000. 23. Bhagavad Gita 11:41, 42. 25. This ethos shaped ISKCON’s official statement on its relationship with “people of faith in God”; see Saunaka Rishi 1999, 1- 9. 26. Madhva’s notion of the “inner witness,” or arbiter of all experience, deserves investigation in this regard; see Lott 1980, 11, 91- 92. 27. Shukavak Das raises the question whether an ISKCON more concerned with the exoteric mode embodied in vaidhi-sadhana-bhakti can in fact offer the esoteric depth of raganuga-bhakti-sadhana for which the tradition is principally known; see Shukavak 1998. 28. See the title of Hayagriva 1985. 29. For an analysis of ISKCON’s changing missionary strategies in relation to its economy, see Rochford 1985. 30. See the commentary to Shrimad Bhagavatam 6.2:36. 31. Seminars are held occasionally at various ISKCON centers and annually in Mayapur and Vrindavan, India, Gita Nagari in Pennsylvania, and Radhadesh in Belgium. 32. 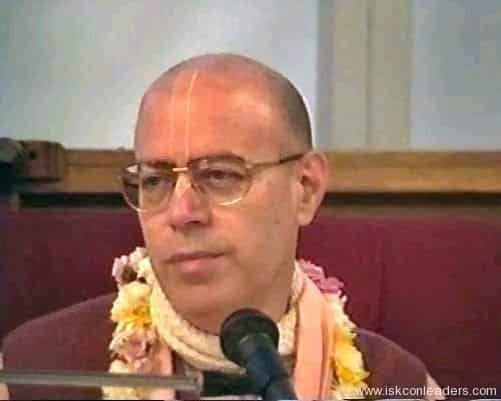 See Rochford 1995 and 1998, as well as E. Burke Rochford Jr., letter to Tamal Krishna Goswami, 27 August 2001 (Tamal Krishna Goswami archive, ISKCON- Dallas, Dallas, TX). 33. See for example Bhakti Balabh Puri Goswami 2001. Bhakti Balabh Puri Goswami. Simple for the Simple. Hungary: Lal Kiado, 2001. Bhakti Hridaya Bon, trans. Shri Rupa Gosvami’s Bhakti-rasamrta-sindhuh, vol. 1. Vrindaban: Institute of Oriental Philosophy, 1965. Bhaktivedanta Book Trust. Songs of the Vaisnava Acharyas: Hymns and Mantras for the Glorification of Radha and Krishna. Los Angeles: Bhaktivedanata Book Trust, 1996. Bhumipati dasa, trans. Shri Prema Bhakti-candrika: The Moonrays of Loving Devotion by Shrila Narottama dasa Thakura Mahasaya, with commentary of Shrila Vishvanatha Chakravarti Thakur. Vrindavan: Touchstone Media, 1999. Dimock, Edward C. Jr., trans. and commentary. Chaitanya Charitamrita of Krsnadasa=2 0Kaviraja. Introduction by Edward C. Dimock Jr. and Tony K. Stewart. Ed. Tony K. Stewart. Harvard Oriental Series, vol. 56. Cambridge: Department of Sanskrit and Indian Studies, Harvard University, 1999. Elkman, Stuart Mark, trans. Jiva Gosvamin’s Tattvasandharbha: A Study on the Philosophical and Sectarian Development of the Gaudiya Vaisnava Movement. Delhi: Motilal Banarsidass, 1986. Griffiths, Paul J. Religious Reading: The Place of Reading in the Practice of Religion. New York/Oxford: Oxford University Press, 1999. Haberman, David L. “Divine Betrayal: Krishna-Gopal of Braj in the Eyes of Outsiders.” Journal of Vaisnava Studies 3 (1) (winter 1994): 83- 111. Hayagriva das. The Hare Krishna Explosion: The Birth of Krishna Consciousness in America (1966- 1969). N.p. : Palace Press, 1985. Hrdayananda dasa Goswami. Our Original Position: Shrila Prabhupada and the Vaisnava Siddhanta. ISKCON GBC Press, 1996. –. “The Role of the Guru in a Multi-guru Society.” ISKCON Communications Journal 8 (1) (June 2000): 45- 53. Jackson, Roger and John Makransky, eds. Critical Reflections by Contemporary Buddhist Scholars. Surrey, UK: Curzon, 2000. Knott, Kim. “The Debate about Women in the Hare Krishna Movement.” ISKCON Communications Journal 3 (2) (Dec. 1995): 33- 49. Lott, Eric. 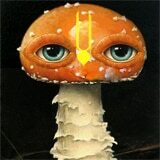 Vedantic Approaches to God. London: Macmillan, 1980. Matilal, Bimal Krishna. Perception: An Essay on Classical Indian Theories of Knowledge. New York: Oxford University Press, 19 86. McFague, Sallie. Models of God: Theology for an Ecological, Nuclear Age. Philadelphia: Fortress Press, 1988. O’Connell, Joseph T. “Chaitanya Vaisnava Community as Devotional Symbolism.” Unpublished paper. Prabhupada, A.C. Bhaktivedanta Swami. The Nectar of Devotion: A Summary Study of Shrila Rupa Gosvami’s Bhaktirasamrta-Sindhu. 1970; 2nd ed., Los Angeles: Bhaktivedanta Book Trust, 1982. –, trans. and commentary. 1987. Shrimad Bhagavatam, 12 cantos. (Cantos 1- 10 chapter 13 by Prabhupada; canto 10 chapter 14- canto 12 by his disciples.) Los Angeles: Bhaktivedanta Book Trust, 1987. –, trans. and commentary. Bhagavad-gita As It Is, 2nd ed., revised and enlarged. Los Angeles: Bhaktivedanta Book Trust, 1989. –, trans. and commentary. Shri Chaitanya-Charitamrita. 9 vols. Los Angeles: Bhaktivedanta Book Trust. 1996. Prentiss, Karen Pechilis. The Embodiment of Bhakti. Oxford: Oxford University Press, 1999. Rochford, E. Burke, Jr. Hare Krishna in America. New Brunswick: Rutgers University Press, 1985. –. “Family Structure, Commitment and Involvement in the Hare Krishna Movement.” Sociology of Religion 56 (2) (1995): 153- 75. –. “Prabhupada Centennial Survey Report.” Submitted to ISKCON’s Governing Body Commission. November 1998. Saunaka Rsi dasa. “ISKCON in Relation to People of Faith in God.” ISKCON Communications Journal 7 (1) (June 1999): 1- 9. Shukavak N. Dasa. 9 CISKCON’s Link to Sadhana-Bhakti within the Chaitanya Vaishnava Tradition.” Journal of Vaisnava Studies 6 (2) (spring 1998): 189- 212. –. Hindu Encounter with Modernity: Kedarnath Datta Bhaktivinoda, Vaisnava Theologian. Los Angeles: Shri (Sanskrit Religions Institute), 1999. Smith, Frederick M. “Notes on the Development of Bhakti.” Journal of Vaisnava Studies 6. (1) (winter 1998): 17- 36. Vishakha Dasi, Sudharma Dasi, et al. “Women in ISKCON: Presentations to the GBC 2000.” ISKCON Communications Journal 8 (1) (June 2000): 1- 22. Waldman, Marilyn Robinson. “Tradition as a Modality of Change: Islamic Examples.” History of Religions 25 (4) (1986): 318- 40.